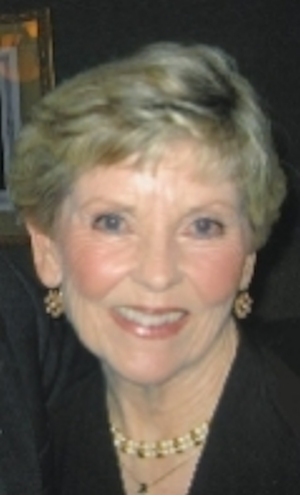 Obituary – Beakey, Novie Lee Jo (Bittman) « Perry High School Alumni Association, Inc.
﻿Annual Queen 56-57, Office Staff 54-57, Home Room Treasurer 56-57, Student Council 55-56, Annual Staff 56-57, Class Assemblies 54-56, Band 54-57, All School Revue 54-57, Football Queen Manager 56-57, F. T. A. 55-56. Lee J. Beakey, died on December 26, 2009 after a painful struggle with lung cancer. Lee was born and grew up in Perry, OK. Her parents, John C. and Inabel Bittman owned and operated a family business in Perry, a thriving all-American town. Lee is survived by her husband and childhood sweetheart: Dan J. Beakey; Colonel USA Ret. son, Christopher L. Beakey and life partner, Michael Weider, Lewes, DE and Washington, DC; daughter, Lisa C. Ruggere and husband, John J. Ruggere, Jr. of Charlotte; granddaughters, Molly Lee Ruggere and Allison Lynn Ruggere; two brothers, Richard H. Bittman and wife, Agnes Bittman of Amarillo, TX, Larry C. Bittman of Ponca City, OK.
Lee was a woman of many talents. She was a popular leader in high school and the University of Oklahoma. She was the Yearbook Queen in high school and AFROTC Queen at OU. 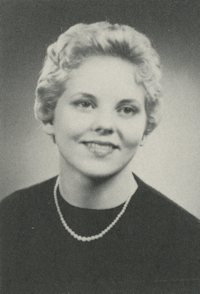 Lee was a member of Gamma Phi Beta sorority and earned membership in MENSA International. When residing in the Washington DC area, she was a top producer in real estate sales and sales manager for a national transportation company. She loved playing bridge and golf with her many friends at North Ridge CC. They gave her never-ending support and love during her illness. Lee’s greatest accomplishments were being a Mom and Wife. She cheerfully responded to the demands that face military families. For over three years, she ran the family home when Dan was assigned to Korea, Viet Nam and Saudi Arabia. She was our inspiration and leader in those difficult years. Final services and burial will be at Arlington National Cemetery on January 7, 2010 at 2 o’clock in the afternoon. In lieu of flowers, memorial gifts may be made to Hospice of Wake County, 250 Hospice Dr. Raleigh, NC 27607. Arrangements made by the Cremation Society of the Carolinas.